Partners will be able to buy network and security solutions through a single licence model, meaning businesses will pay for the solution and the managed service as a single fee, rather than the technology and service charged separately, which can be managed through a single interface. The SD-WAN offering will also integrate with the vendor’s cloud security platform Cisco Umbrella, although partners will be required to purchase this through a pay-per-usage pricing model. The network giant has also teamed up with Microsoft to run its SD-WAN service through Office 365 applications. According to Cisco, the partnership will provide 40 per cent faster performance for users through its ability to find the nearest cloud. Cisco confirmed the new service will be rolled out to A/NZ partners by the end of this year. 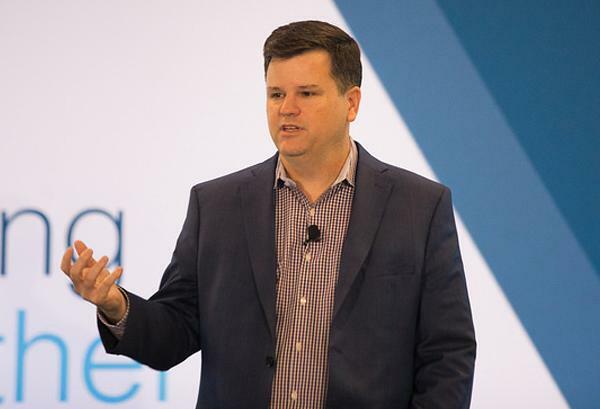 Revealed during Partner Summit in Las Vegas, Scott Harrell - senior vice president and general manager of enterprise networking at Cisco - said the new service would offer “incremental opportunity for advisory and managed services”. Harrell added that 95 per cent of Cisco's customers are expected to deploy SD-WAN within the next two years globally. He also claimed the market will be valued at US$4 billion by 2021. From an incentives perspective, partners on Cisco’s value-added partner (VIP) program will gain access to rebates for sales and renewals of software subscriptions and expansions of customers original purchases on a semi-annual basis. The vendor has also launched a number of SD-WAN learning tools to help partners grasp the ‘fundamentals’ of Cisco’s network, plus an internal SD-WAN Mastery program for its own sales force. Cisco told ARN that SD-WAN will now become a key component of its Master Networking Specialisation, which launched last year. In addition, partners will be able develop their own new services using Cisco’s open APIs through Cisco Dev’s SD-WAN learning labs and sandboxes. The announcement comes as Cisco attempts to keep in with customers who are increasingly migrating from data centres to cloud providers such as Amazon Web Services, Google Cloud and Microsoft Azure. The vendor recently launched an alliance with AWS, which will make it easier for its customers to use the cloud provider’s data centres to run their business applications.